183 cm / 72 inches from tip to tip, 39 cm / 15.5 inches depth along the center spine. Aileron means ‘little wing’. 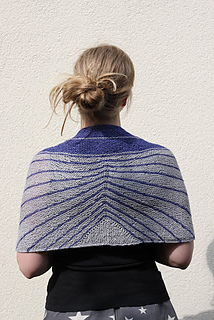 The stripes, angled from the shawl spine, resemble long feathers in a bird’s wings. 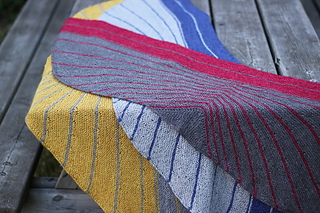 Aileron starts with a triangle worked in short rows before short row sections keep the angled striping pattern. 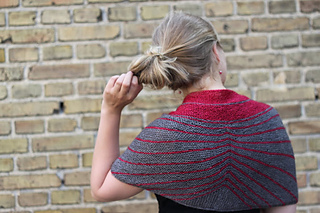 An icord edge, worked simultaneously with the shawl shaping, gives the semicircular shape a strong finish. 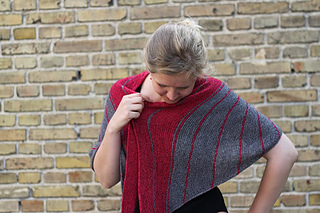 Worked entirely in garter stitch, this is a fun knit with lots of little details. 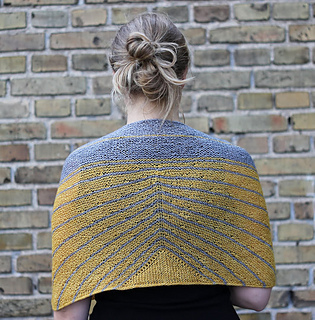 Love the yarn for Aileron? 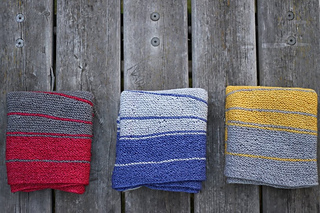 Aileron is the result of a collaboration with Juno Fibre Arts to launch their newest yarn, Milly Sleek Singles. 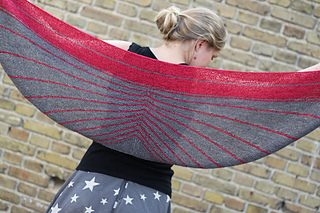 Kits for Aileron and Milly Sleek Singles will feature in the JFA July update on Etsy. 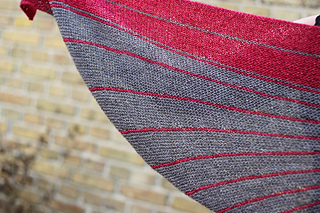 Yarn: Juno Fibre Arts Milly Sleek Singles (70% Merino, 30% Silk), 400m/100g. 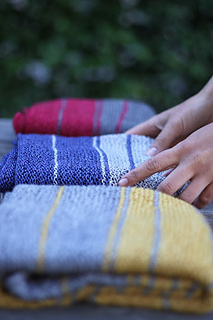 Needles: 4 mm / US 6 circulars, 80 cm / 31 inches, in order to accommodate a large number of stitches. Notions: 1 stitch marker, tapestry needle for darning in ends. 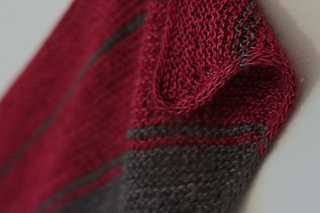 on 10 cm / 4 inches in garter stitch after blocking. Gauge isn’t crucial – but be aware that a different gauge might affect the total yardage required and the finished size. Size: width 183 cm / 72 inches from tip to tip, depth at the center 39 cm / 15.5 inches. * Set-up section: Use Judy’s Magic Cast On. Contrast stripe 1 in CC.